Can we talk about happy hour snacks? I don’t only mean snacks-to-drink-with-the-necessary-glass-of-wine-at 4pm-snacks, I mean snacks that fill the void from 4pm to 6 or 7pm when actual dinner is served. I tend to either overdo the happy hour snack time or way under eat for snack time, leaving me either too full for dinner or ravenous for something..anything that I can eat at 6 o’clock. I tend to be a nuts and dried fruit kind of girl for this snack time, but I totally fall for a chips or crackers and dip combo all the time. The problem is, if I were to eat a regular potato chip and regular dip kind of situation, I would probably stuff myself so full that I would be asleep on the couch by 6pm. Chips are a definite weakness for me, so I try to stay away from them as much as possible (Um, sometimes I don’t do so well, if you are a co-worker of mine you happen to know how deep my potato chip problem runs). 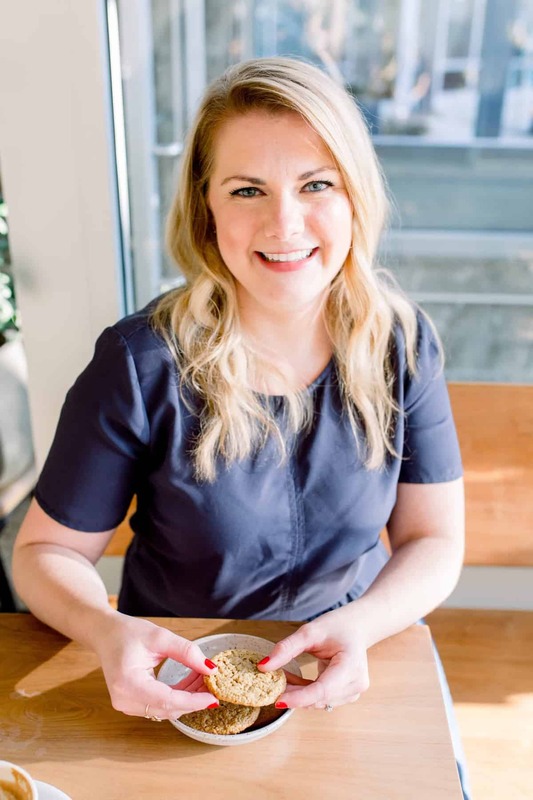 This dip has been bouncing around in my headspace for a while, thinking it would be a great option for the snack time void that needed to be filled. I found I was coming home and eating things I totally shouldn’t be eating, since we didn’t have a lot of snacky things in the house (i.e. lots of squares of dark chocolate and lots of peanut butter by the spoonful) so I needed something like a veggie packed dip to tide me over until dinner time. I know the color of the dip can be a bit creepy if you don’t like green things, but just close your eyes and eat it, right? 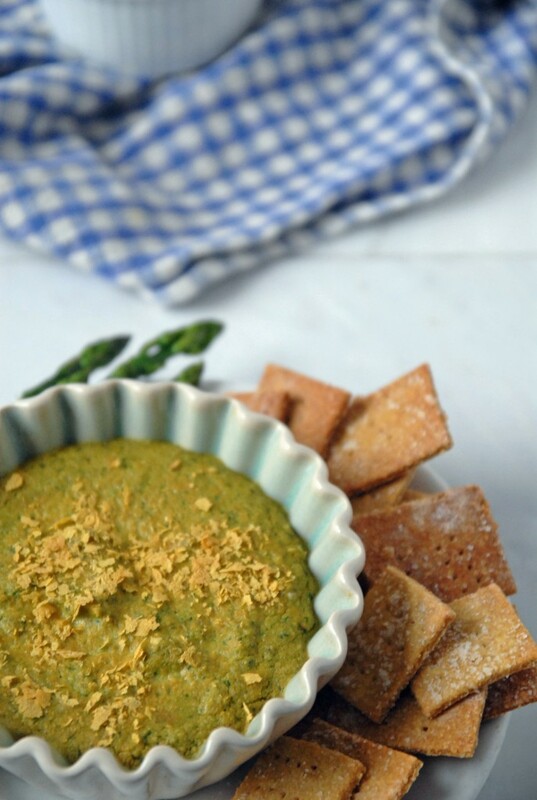 Also, this dip totally doesn’t have a strong asparagus taste, so if you aren’t a huge fan, give it a go anyway! I ate mine hot and with these amazing crackers, but you can totally serve it cold and with tortilla chips, if that is your style. Ok, thanks for listening to me ramble about my spazo snacking habits. 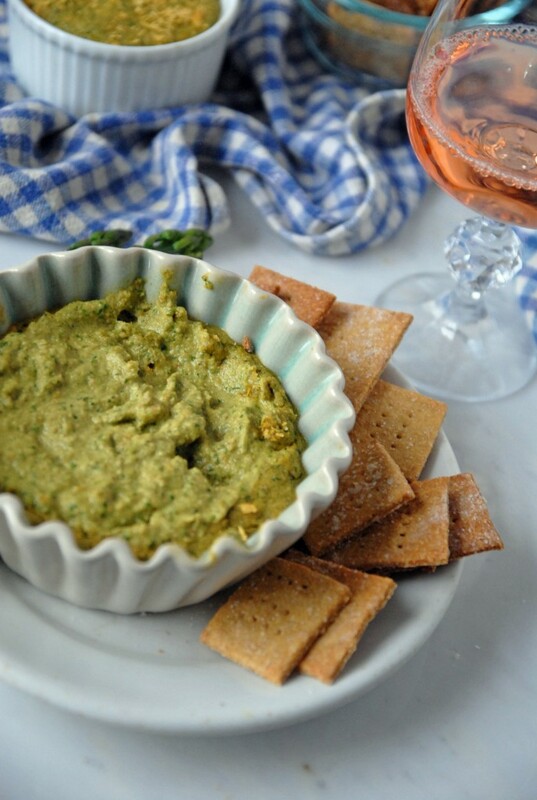 Make this for Friday happy hour and pour yourself a glass of wine, you deserve it, right? Combine all ingredients in the bowl of a food processor. Blend on low for 20-30 seconds, or until all ingredients are blended. If needed, add in water by the tablespoon to thin out mixture. Serve warm with crackers or chips. Mind if I dive right in? 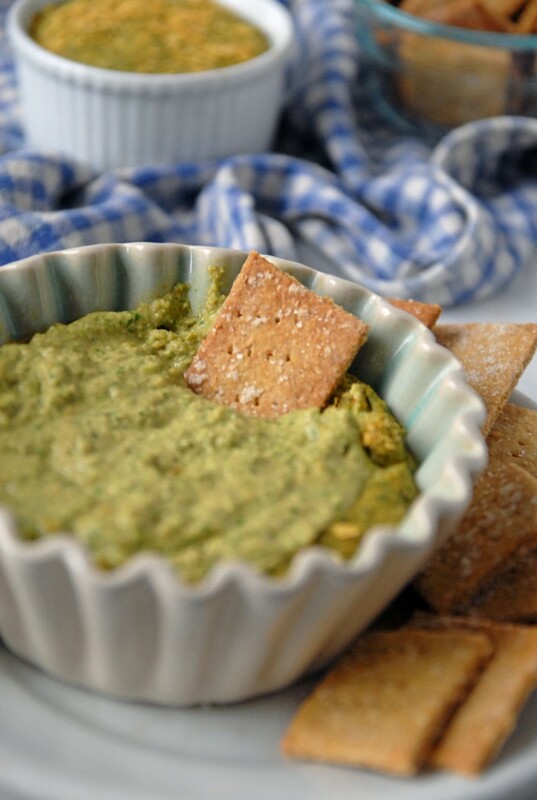 What a super take on spinach-crab dip. go ahead! Thank you, I was really happy with how they turned out! This is brilliant, love this. Thanks for sharing! You know I was looking for something to do with the tougher ends I snap off of my asparagus. I’ll bet they would work in this if pureed well enough–I hate to throw anything away! Agreed! 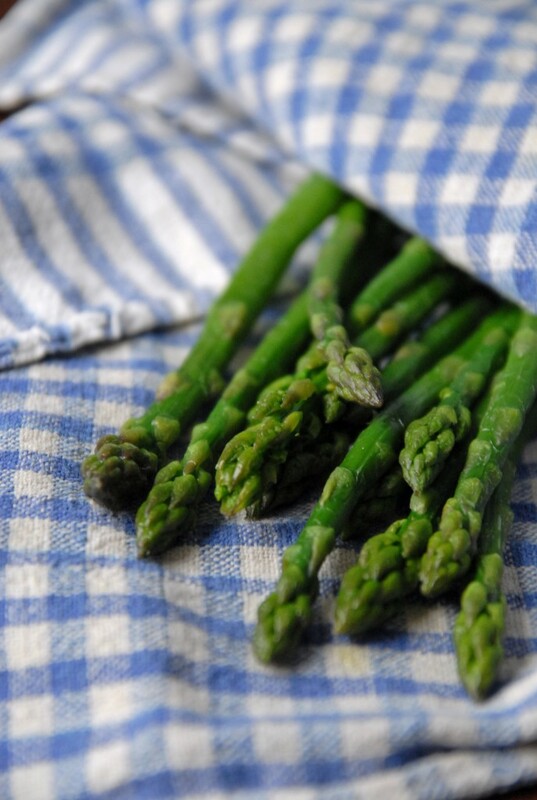 I used the who asparagus stalks, so I bet it would work! 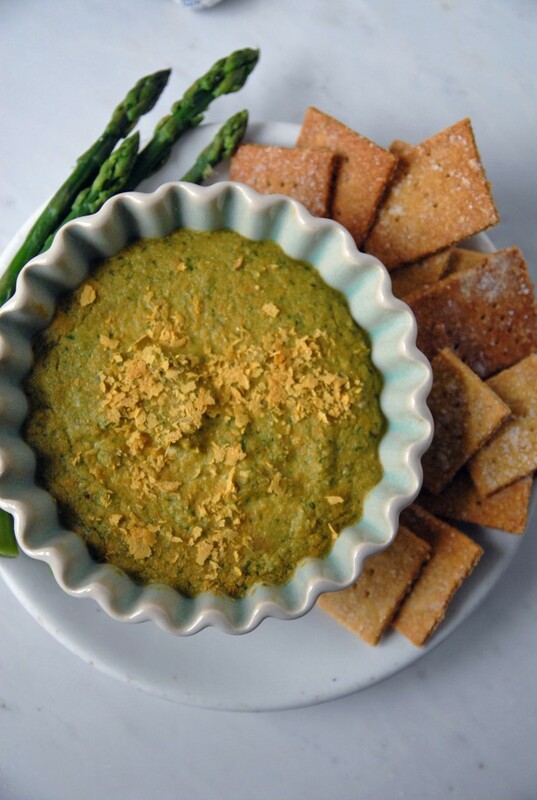 I love asparagus but never thought to put it in a dip; that’s brilliant! I can relate on wanting a little snack before dinner. Chris and I call it taking the edge off. My mom and step-dad are opposite though, they purposely go as long as possible without eating so they’re ravenous for dinner. In their twisted logic, they enjoy dinner more that way. I wonder if I am missing something here? Where is the “cheesy” coming from? 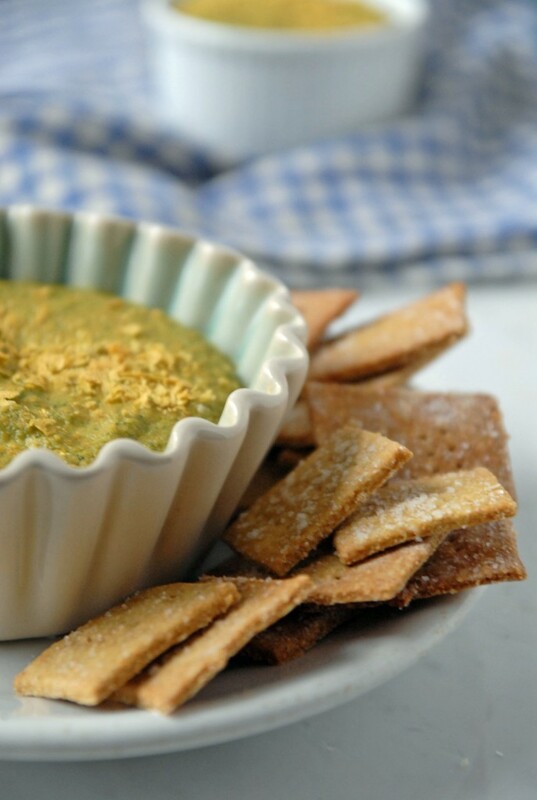 Hi Ivy, Nutritional yeast adds a ‘cheesy’ flavor to a lot of vegan dishes!